One of the main reasons I chose WordPress.com to host my blog/website on was because I could post blogs from my iPhone. If this doesn’t work, I’ve wasted a day! 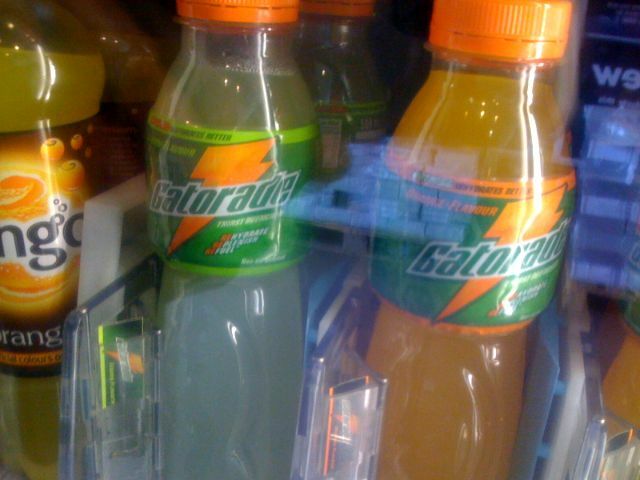 Here’s a photo of Gatorade. Costco sold it in the vending machine and I can’t recall ever seeing it over here before. Shame it wasn’t Snapple. Posted on July 24, 2008, in Photos, Posts. Bookmark the permalink. Leave a comment.